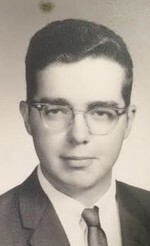 Robert Earl Rodenz, age 68, died December 22 at his home in Spring Grove, MN. He was born February 26, 1949 to Earl and Vivian (Vrieze) Rodenz in rural Spring Valley, MN. He graduated from Stewartville High School in 1968 and from Rochester Area Vocational Technical Institute in 1969 with a degree in Biochemistry. Robert married Mary Osborne on August 28, 1982 in Hallstead, PA and lived in New York for several years before moving to Spring Grove. Most recently Robert worked at the Spring Grove Public Library. Robert loved reading, helping people, and considered this the job of a lifetime. It was the highlight of his week when the children of Spring Grove visited the library. Robert is survived by his mother Vivian of Mabel, MN; step-children Mary Dixon of Endicott, NY; Doug Evans of Vestal, NY; Tom Osborne; and step-grandchildren Rachel, Abigail, Brandon, Emily, Tommy and Tobi. Also survived by siblings David (Judy) Patton, Ruth Brett, William (Lynnelle) Rodenz, Catherine (Paul) Hagen, Marilyn (Lee Roy) Parks, Anna (Dennis) Miller, and Lucy (Jim) Crawford, and many nieces and nephews. Robert was preceeded in death by his wife Mary, father Earl, brother Peter, nephew Tobias Parks, nephew Daniel Patton, and brother-in-law Dave Brett. A memorial service will be held on January 20 at 1:00 pm at Calvary Evangelical Free Church in Spring Grove. There will be no graveside service. Per Robert's request, donations can be made to Spring Grove Public Library or any local daycare or preschool programs in Spring Grove. Fossum Funeral Home assisted the family with arrangements. To send flowers to the family of Robert Earl Rodenz, please visit our Heartfelt Sympathies Store.